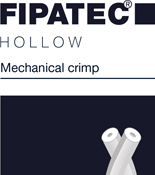 A three-dimensional crimp combined with hollow fibres for superior resilience and finished product insulation. Hollow conjugated polyester fibres (HCS) are widely used in a number of applications. Fipatec Beyond Soft is a pure virgin hollow polyester fiber made for blowing into pillows. It makes a soft yet slightly firm pillow.